Over 150 kits that stream directly to your 3D printer - no design skills or downloading required. Perfect for students and hobbyists looking for a DIY, hands-on maker experience. You choose the kits! This points-based, cloud-access only plan includes 18 points per month, enough to print 3 standard kits or 1 premier kit. 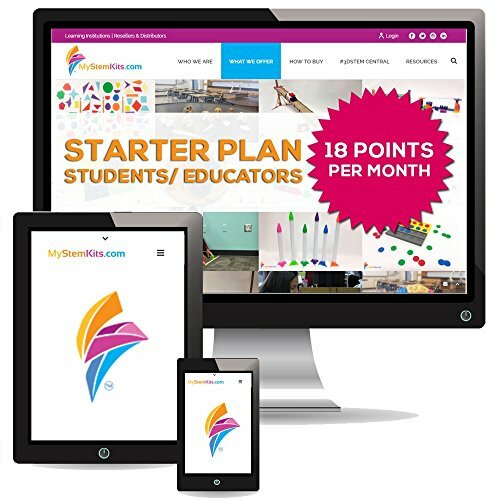 This one-year, single-user, points-based subscription is great for STEM learning with effective, interactive activities for K-12 students.